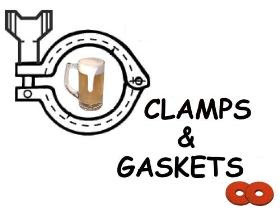 Clamps & Gaskets: News Roundup for Weeks 41/42, 2013. Congress passes, President Obama signs bill to raise debt limit, re-open government. Via Washington Post. Another U.S. brewery purchased by Belgian investors. Duvel Moortgat buys Kansas City's Boulevard Brewery, for $100M. Via USA Today. Baltimore, Maryland, celebrates the 5th annual Baltimore Beer Week: 18-27 October 2013. Government shutdown affected wine imports, new wine releases, and new winery permits. Via Wines and Vines. The winners of the Great American Beer Festival, held 10-12 October 2013, in Denver, Colorado. Five cardinal Sins of 'craft' beer draft service. 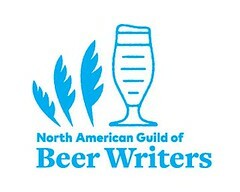 Via Julia Herz at Brewers Association. Peter Higgs and Francois Englert —scientists who predicted the now-discovered Higgs boson— win Nobel Prize in physics. Via BBC. Interview with Makers Mark's Vice-President of Operations, Victoria MacRae-Samuels, one of the few women in bourbon industry hierarchy. Via Huffington Post. 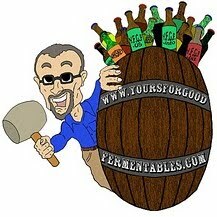 U.S. government shutdown causing delays in new brewery licences and label approvals. Via The Beer Babe and The BeerMonger. Auf Wiedersehen, Oktoberfest! Munich's 18-day beer festival ends today. To return: 20 September 2014. Bluejacket opens in Washington, D.C.
Pic(k) of the Week: Married! October is ... Maryland Beer Month!